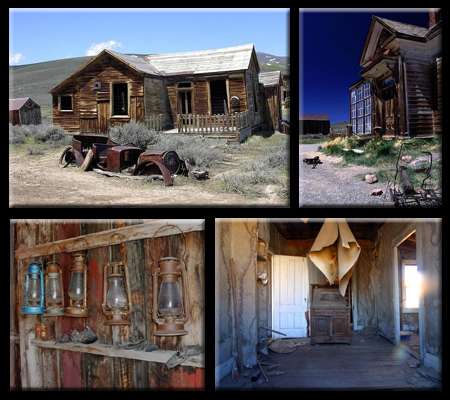 (7) Ghost Towns of the American West are what come to mind for many when they think of abandoned settlements. 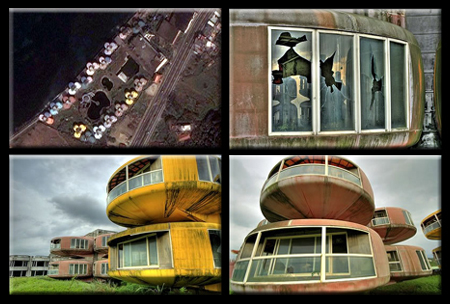 However, there are fascinating abandonments all over the world. Some of these have a clear historical reason for being deserted, while the abandonment of others remains a mystery. Here are six more amazing examples of urban deserts from around the globe. (6) San Zhi, Taiwan is an abandoned settlement on the outskirts of Taipei, Taiwan. A mysterious series of accidents led this would-be tourist town to go unused upon its completion. Further, regional beliefs also kept the abandoned settlement from demolished – for fear of angering spirits dwelling in the complex. 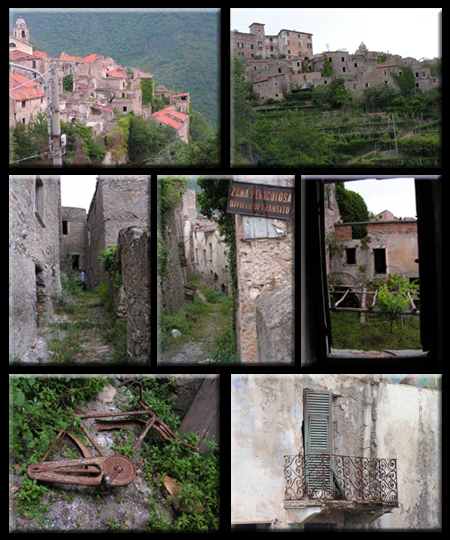 (5) Near Genoa, Italy is a small abandoned village. What would cause people to leave such a beautiful place? To be fair, though, the ruins left behind are aesthetically compelling in their own right. The structures are remarkably intact and provocative. 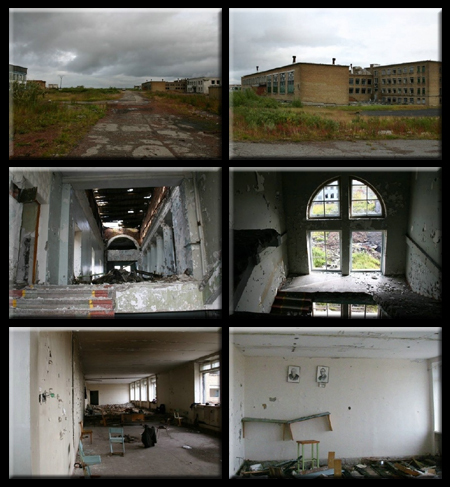 (4) Promyshlennyi, Russia was abandoned with the fall of the Soviet Union, cut off from communication with and support from the government. When utilities and electricity stopped working, people simply left to find a home an work elsewhere, leaving buildings behind and many belongings in the wreckage. 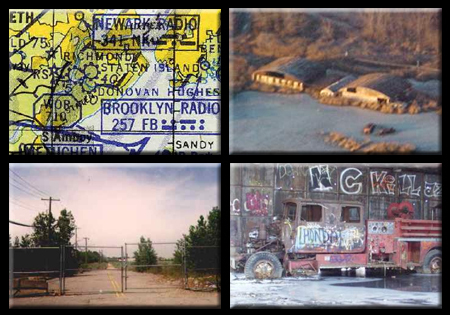 (3) New York, USA has a surprising number of abandoned airfields – directly in and around the city. Given the relative density of the city and its surroundings it seems unusual that these have been left unused for so long. Each of these anomolous airfields has its own story. 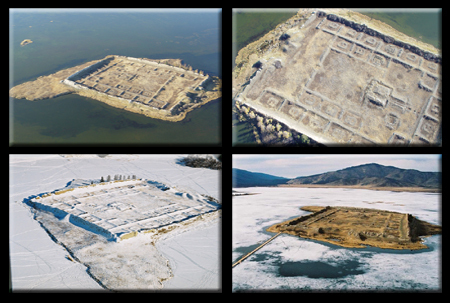 (2) Tere-Hole, Siberia is a lake with a recently dicovered treasure in the middle: a ruin dating back 1500 years. Located in a vast wilderness of lakes, this long-abandoned stronghold is 600 by 450 feet. Excavations this year may reveal ancient artifacts. 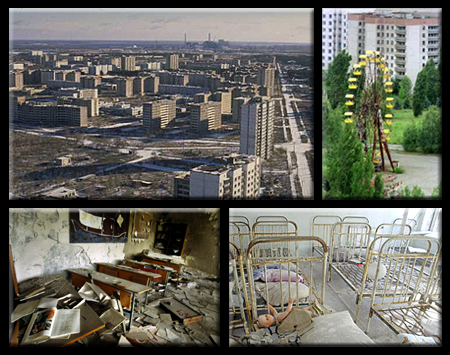 (1) Pripyat, Ukraine was once a thriving city of 50,000, but was abandoned following the nuclear disaster at Chernobyl. For a long time the amazingly preserved city – rapidly abandoned by the populace – was a virtual museum, a snapshot of the times. Pripyat has since been looted and only images and architecture remain. The site will be unfit for human habitation for hundreds of years due to nuclear fallout. However, you can tour the ruins by video. Enjoy this post? Be sure to subscribe to the feed so you won’t miss a thing! Feel like exploring some amazing abandonments? Be sure to also check out Urban Exploration: Beginners Guide to Adventures in Building Infiltration for tips, tricks, images and links.